"Always pick truth, or else someone might dare you watch this"
What if you played a game of Truth or Dare, but the stakes were life and death? 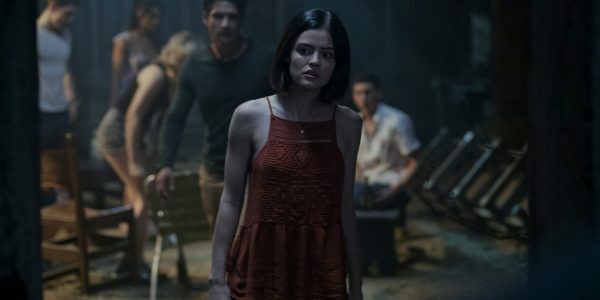 While that is a brilliant premise for a horror movie, the actual movie Truth or Dare is surprisingly not particularly good. In fact, it's one of the worst movies of 2018. Jokes aside, the premise of a deadly game of Truth or Dare isn't necessarily the stupidest thing in the world. If the characters had interesting secrets that they were forced to tell, or were likable enough that you'd want them to live, then this could have possibly worked - maybe not as a supernatural horror movie, but as a twisted, character-focused thriller. Alas, it wasn't meant to be. 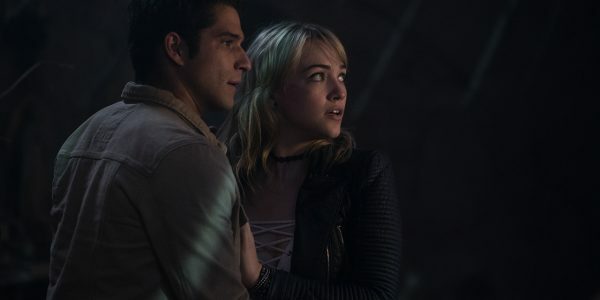 Truth or Dare squanders every available opportunity to do something interesting with its premise, instead revelling in the extremely overdone and tired stock tropes of supernatural horrors - cheap jump scares (quite a few involve people sneaking up on their friends for no reason), numerous plot contrivances and, worst of all, characters that are, at best, dull and moronic. One of the character is a young gay man with a homophobic father, so when he picks Truth, the game forces him to out himself or die. This could have made for an interesting, and potentially really effective scene - so naturally, the whole thing happens off-screen. Yeah, the gay character comes out in front of his homophobic dad and apparently it went great. Then again, we don't really see the dad being homophobic, they just say that he is, so the whole thing falls flat. Instead, the big focus is on a crappy love triangle, with the supernatural entity doing petty things like daring the main character to sleep with her best friend's boyfriend. When it's not coming up with dumb or contrived ways to kill off the unlikable, bland characters, Truth or Dare tries to scare you with goofy faces - a gimmick which at one point is literally described by our lead as a 'bad Snapchat filter'. Truly horrifying. With the exception of one short scene, none of these people ever seem phased by the fact that their supposed friends are dying. The movie does have a half-baked theme of 'we should save ourselves and let other people die', but the characters' lack of empathy isn't always because of that - more often it's just bad writing. On that note, the ending is atrocious - if you didn't dislike the main characters by then, you'll definitely hate them after. There are a couple of moments that are enjoyably stupid - at one point four people are watching the same video of one of their friends dying on four separate phones. Also, this apparently means that a bunch of people thought it would be a great idea to send a video of someone dying to his friends without giving them a heads up first - because, you know, it's more dramatic that way. Oh, and it's also worth mentioning that the reason the main cast of bland idiots end up playing the game is because some random stranger at a party invites them to go the ruins of a mission and play Truth or Dare with him - and they all do it. Drunk or not, that's just unbelievably stupid - as in, I literally did not believe it. Moments like that, however, are few and far between. Most of Truth or Dare is either bland and boring or insultingly dumb. It does nothing new or even well, and when all is said and done, it just feels like a colossal waste of time. You're better off playing actual Truth and Dare - just remember to always pick truth, or someone might dare you to watch this garbage.